Greetings from Indian Public Health Association! 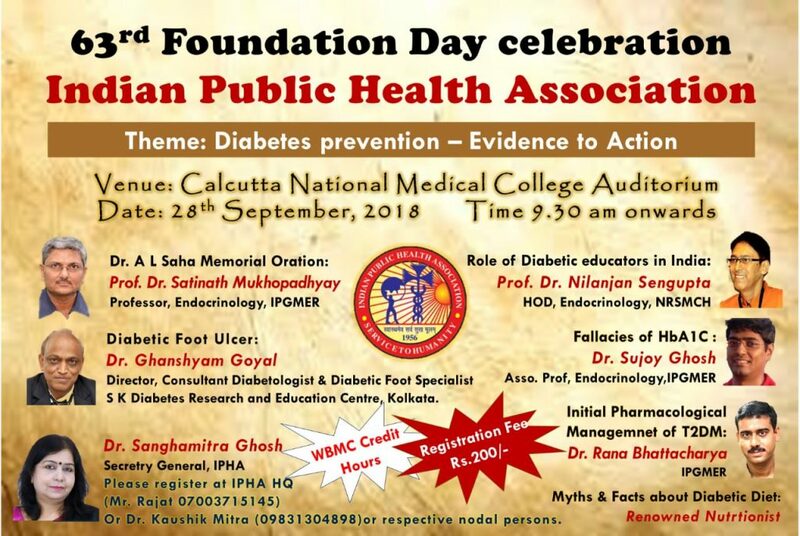 It is our immense pleasure to announce that IPHA is going to celebrate its 63rd Foundation day on 28th September, 2018 at Calcutta National Medical College Auditorium, Kolkata. 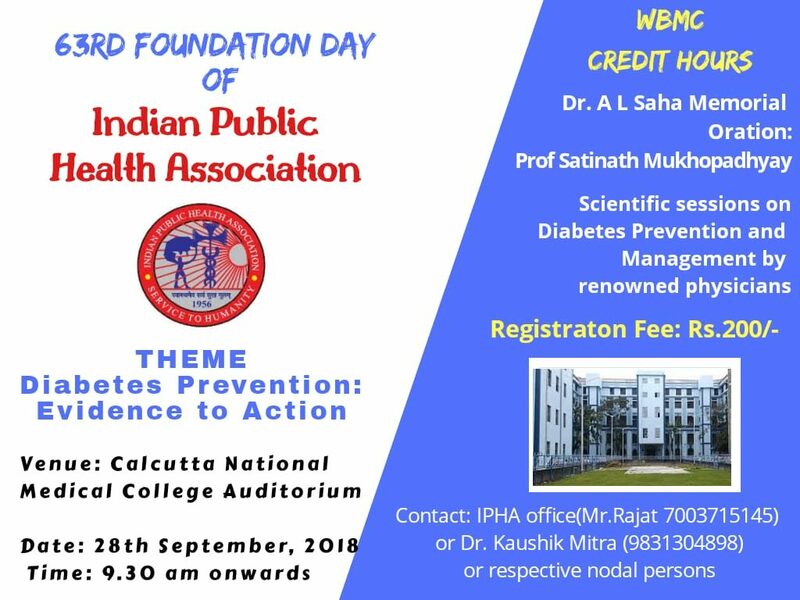 different aspects of diabetes prevention and management will be highlighted by renowned physicians like Prof Dr. Nilanjan Sengupta, Dr. Ghamshyam Goyal, Dr. Sujoy Ghosh etc. Credit Hour certificates approved by West Bengal Medical Council will be distributed among delegates. The details of the event and registration can be found at Website. We would like to request you to attend the program and make it a grand success.